With the 2016-17 La Liga season already over, Luis Enrique has officially stepped down as the head coach of Barcelona as he was replaced by Ernesto Valverde. The 53 year old manager already has experience in coaching top clubs as Valverde has been in charge of: Atletic Bilbao, Espanyol, Olympiacos, Villareal and Valencia. Despite having experience with those aforementioned clubs, Barcelona is on another level as this is one of the teams that is regarded to be as one of the best in the world of football right alongside with: Real Madrid and Bayern Munich. 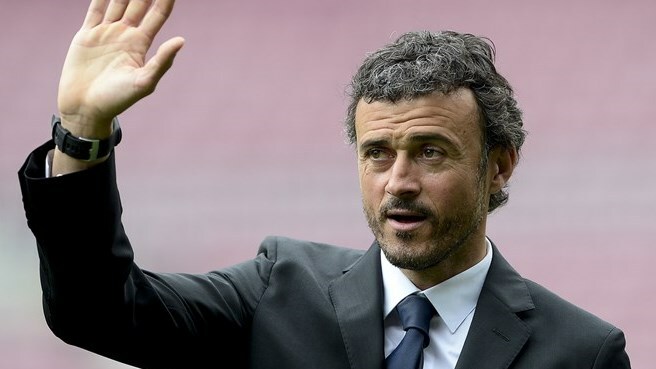 Barcelona will not offer a new deal to their manager Luis Enrique until January. Their vice-president has stated that the Spanish team is keen to keep their manager, but any extension will be only offered in January. This statement has given rise to speculations that the club will offer an extension if they are satisfied with the results of the team. Luis Enrique managed to win the treble with Barcelona during his first season at the club and only won the La Liga title last year. With Real Madrid appointing Zinedine Zidane as their manager last season, there is news that Barcelona might also want to appoint a high profile manager for the club. 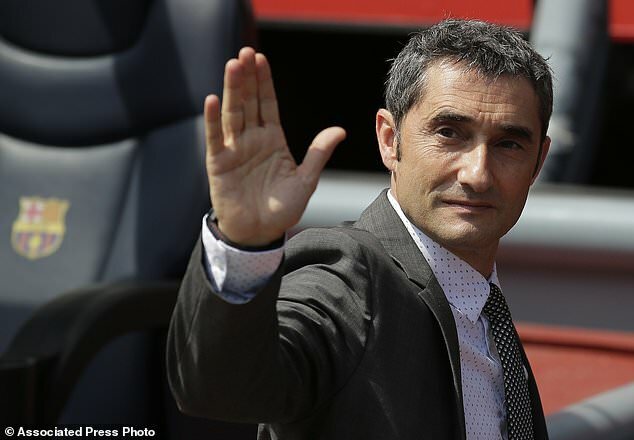 However, Barcelona’s Vice-president Jordi Mestre has denied these rumors and has stated that the club does not have any other alternatives in mind. He said that Barcelona is fully satisfied with Luis Enrique, and they do not have any intention to replace him at the head of the club. Since his arrival, Luis Enrique has managed to keep the team together and allow them to remain at the top of the Spanish league. Jordi Mestre said that they are satisfied with the manager and what he has achieved so far for the team. He admitted however that there are no contract talks going on at the moment and that the manager will be offered a new contract in January. On a day where both Atletico Madrid and Real Madrid won, Barcelona needed to win their game if they wanted to stay on top of the Spanish league. Indeed, after a poor run of form, Barcelona has surrendered a 9 points lead and found themselves levelled with Atletico Madrid and only one point over the Real Madrid. Barcelona responded brilliantly by beating a poor Deportivo La Coruna side by 8-0. This was a humiliating defeat for Deportivo, who was playing at home. However, with the form demonstrated by Luis Suarez and his mates, it would have been difficult for Deportivo to stop them. Luis Suarez has a magnificent game where he scored four goals and contributed 3 assists for Barcelona. This ended a losing streak which saw Barcelona lose 3 times in succession. The first goal came in the 11th minute when Suarez connected well with a Rakitic corner. He added a second in the 24th minute after collecting an excellent pass from Lionel Messi. These two goals gave Barcelona a two-goal cushion at half-time. Guardiola – effectively mindful of Arsenal menace. if they are not at their very best versus Arsenal on Wednesday night. The Catalan giants are favourites to win the Champions League and Wenger was speedy to concede his facet would be underdogs against a team he says are setting the normal in club football. Arsenal v Barcelona Wigan v Bolton live. Adhere to Sportsmail’s coverage of Wednesday night’s football where the major celebration is the first leg of the last 16 Champions League clash in between Arsenal and Barcelona at the Emirates Stadium . Spanish media united in criticism of Pep Guardiola and ref Nicola Rizzoli.